The inspiration behind the stories in... Happy Easter! 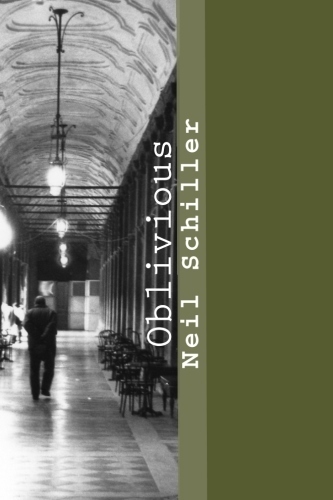 Meet author, Neil Schiller, and enter to win a copy of 'Oblivious'! I met Neil Schiller through Bookpleasures, when I reviewed his book of short stories,Oblivious. I was so impressed by the collection that I just had to interview Neil and introduce him to you. If you like reading short stories based on real life issues, you'll absolutely love Neil's collection of moody, dark, short stories. Most of the stories in the collection revolve around loss, regret, misunderstandings, and relationships. All of them are insightful and reflect a side of life that we sometimes choose to ignore. I have since discovered that Neil is quite an accomplished writer. As well as agreeing to be interviewed on my blog, Neil will be giving away a copy of Oblivious to one lucky person who leaves a comment on my blog! This is truly an exceptional collection of short stories not to be missed. Is there a particular author, or book, that inspired you to start writing? I’m not sure whether there was a single book that made me want to be a writer. There were certainly some that made me more serious about it. I read Orwell’s 1984 when I was seventeen – it was probably the first literary work I’d ever sought out and read for myself. Until then I’d read genre novels, mostly horror and some sci-fi, the usual male teenage reading list. I remember that book made a huge impression on me. The brutal honesty with which he tackles human weakness – where Winston Smith is determined he won’t give up the woman he loves and under torture he not only gives her up, he begins to hate her. I thought that was profound. Deeply depressing, but it just seemed like the kind of truth that most writers shy away from and it impressed me because he was brave enough to unearth the idea and to meet it head on. As long as I can remember I’ve wanted to be a writer. I don’t really know why. English was always my best subject at school, even from a young age. It could well be that realising this led me to writing as an ambition. I know when I was about six I copied out the first two or three pages of The Gingerbread Man into an exercise book and declared I’d written a book. I was a strange kid I suppose. It was around fifteen or sixteen that I started writing under my own steam and just found it a great way of ordering my thoughts and ideas, which otherwise always seemed a bit of a mess in my own head. I stuck with it as I seem to be a less dazed and confused person when I’m writing. Do you have any tips for someone who is considering self-publishing their own book? There are the obvious things about making sure it’s ready, getting it proof-read etc. But for me the most important thing would be to make sure you have realistic expectations. Don’t expect 10,000 sales on the day it goes up. If it’s good, it will sell, but it’s like pushing a car, it takes some time and effort to gain any momentum. You will have to try and promote it in some way, however against the grain that may seem, and even then the hours spent trying not to upset people by being too pushy on forums and discussion spaces may still only generate interest from a handful of people. It takes time and patience, and in my opinion you have to look on it as a start that you can hopefully build upon. 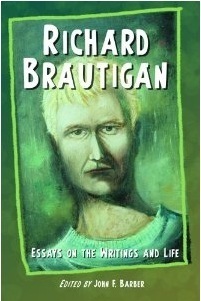 As well as writing fiction, you have written critical works on Charles Bukowski and Richard Brautigan. What is it about those authors that made you decide to write about them? I did a Masters degree in twentieth century literature and part of the course was a dissertation on any writer we wanted to cover. I couldn’t really think of anyone I would be able to write 20,000 to 30,000 words on. So I was poking around Waterstones and they had a section at the time for ‘Cult Fiction’. I’m always drawn to things that proclaim themselves to be cult, just because from experience I tend to like these things more than mainstream work. 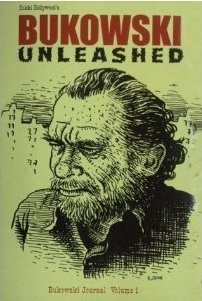 So I picked up Notes of a Dirty Old Man by Bukowski and just from reading the first couple of pages I was hooked. I think it’s just his deadpan style which is punctuated with moments of wistful beauty, and his unapologetic stoicism – those things struck a chord with me. He became my dissertation subject because I just found so much in his work that I had an opinion on and could commit to paper. I discovered Brautigan in a similar way. I was in London for a meeting and I was reading A Clockwork Orange on the train. I finished it much more quickly than I expected and was left without anything to read on the way back. So again, I went into Waterstones and made a beeline for the ‘Cult Fiction’ section. I found A Confederate General from Big Sur and loved it. It reminded me of the Beats but with just enough of a postmodernist slant to make it quirky and funny and interesting. I love his insane use of imagery which seems so outlandish it shouldn’t work, and yet it does. His minimalism in particular was a huge influence on me. What blew me away though is this technique he uses of turning a metaphor into a literal descriptive. I’ve read all his work and some of it is incredible, and some of it actually isn’t very good in my opinion, but again, even in those inferior books there is so much going on that I found myself thinking I would probably never run out of things to say about him. I read on your blog that you wrote The Haiku Diary in 2008. Can you tell us a bit more about that and how it came about? Essentially it came about because I was working with someone whose father had recently died. He uncovered a diary in his personal effects that had been written in the 1940s when he was serving in North Africa as a young private. The guy I worked with was telling me how it was opening his eyes to a side of his father he had never known. I pondered about that for a few days, thinking about my two year old daughter and how there would probably be a side to me she’d never get to see as our relationship would always be defined in a particular way. I was also reading a lot of Haiku at the time, as part of the research on Brautigan and his Zen Buddhist influences. My partner bought me a book called The Haiku Year for Christmas as she knew I was enjoying reading Basho and Issa and because the book had contributions from Michael Stipe and Grant Lee Phillips – two musicians I admire. All those things kind of coalesced and I decided to record a year of my life, warts and all, for my daughter to look at when she’s older. I figured writing a Haiku a day would make me focus on what I was putting down, instead of rambling on about appointments at the dentist and really mundane things like that. It was never intended for publication. I put it up for the Kindle purely because I found self-promotion so difficult and I figured with poetry being a smaller product range than fiction, it might make my name more visible on listings. I recently read and enjoyed your book of short stories Oblivious. As I mentioned in my review of the book, two of the stories that caught my attention were ‘Trapped’ and ‘Half’. They are very short. ‘Trapped’ is only one sentence. Tell us about the thought process behind including that as a short story. Brautigan wrote a story called ‘The Scarlatti Tilt’ which is two sentences long. I was blown away when I read it because the couple of dozen words he used were just so evocative it felt like a much fuller narrative. They just sort of bled off the page and I found myself constructing from them a fully formed, two or three thousand word story in my head. I saw from poking around the Webook forum that people were trying micro fiction, stories of no more than six words and because of that Brautigan story the idea really appealed to me. I wrote about twenty of them, some of them awful, some of them not so bad. I picked what seemed the best one to go into the collection just to see if I could get away with it. Initially, I was going to include two of them, but that seemed like I might be pushing it. Which are your favourite stories from Oblivious and why? It’s hard to say. Every time I look at them I have different opinions on whether they’re any good or not. I like the opening to ‘Brand Awareness’, just because I like writing about music and I was happy with the descriptions the songs inspired, but I don’t think the story as a whole is my favourite. I was pleased with the way ‘The Anarchist’ turned out, but the one that I probably like best is ‘A Long Winter’. I think the tone of that one is possibly the most consistent throughout. What surprises me is that other people who read it always pick as their favourites the ones that I don’t think are quite as strong, so what do I know? Did you write Oblivious as a collection of stories, or were they stories you had written over the years? Kind of both really. I always had a collection in mind but I wrote them over a long period and kept rotating things in and out. I pulled one or two stories at the last minute as they differed in tone to the others, so I guess I was focused on it working as a set of related pieces. Many of the stories in Oblivious feature protagonists who are lost or struggling in some way. They are all very realistic. Are any of the characters based on real people? Yes. Some of them are fictionalised versions of experiences I’ve had, others are drawn from the experiences of people I know, or have known. The dialogue in particular is all based on actual dialogue of some sort – just because every time I tried to write dialogue from scratch I failed to give it any authenticity. Some of them started from anecdotes people told me, or I overheard. The central idea behind ‘The Anarchist’, for example, was an incident that someone I know had witnessed on a bus not long after the terrorist attacks in London. An Asian man got on with a bag and someone decided in their infinite wisdom that anyone who wasn’t white who was carrying a bag had to be suspicious. I put with that the image of a burnt out car which actually came from the person who bought my house from me and reported back, when I bumped into her, that her car had been set alight when a firework got caught underneath it. The rest of the story formed around those two things – I added in descriptions of the place I used to live and things I’d seen in restaurants when the pubs had let out etc. Are any of the stories in Oblivious autobiographical in any way? Yes, that was the starting point for some of them. I won’t admit to which ones, (although I have a horrible feeling some might be obvious), except to say that ‘You’ was written about the death of my grandfather when I was in my early twenties. I was so devastated by it at the time that the only way I could get my feelings straight was to write it out. It was originally written in first person but I changed it to a second person narrative after reading Bright Lights, Big City – I thought it might resonate with readers more that way, align it with their experiences of similar emotions. You review books by independently published authors on your blog. What do you like about reviewing books? Who are your favourite authors and what is it about their writing that you like? I mentioned Orwell, and he is one of my favourites just because he dealt with subjects in his work that, in my opinion, very few others have. Bukowski and Brautigan as mentioned above. I also like Raymond Carver who was a massive influence on Oblivious. His stories are so incredibly well observed, and I love his use of understatement. Gabriel García Márquez, just because the ending of One Hundred Years of Solitude was the best ending I’ve ever read, by far. Haruki Murakami – I love the surrealism in his work, the dreamlike quality to books like Sputnik Sweetheart and the seamless way he weaves this into realism. And Ken Kesey. I still think One Flew over the Cuckoo's Nest is a contender for THE great American novel. Is there a book you own that you’ve read more than once? I haven’t read many books twice to be honest. Some of the Brautigan ones I reread just to be more familiar with them. I have read Zen and the Art of Motorcycle Maintenance: An Inquiry Into Values twice. The second time I seemed to struggle much less in understanding it – it is one hell of a dense book. I’ve also read The Great Gatsby twice, because the first time I wasn’t overly impressed and the way some people I knew were talking about it I suspected I must have missed something. I was right – the second time through I thought it was superb. I mustn’t have been paying attention. An indie book called The Girl with the Bomb Inside by Andy Conway. It was good. A little rough around the edges, but it seemed deliberately so. The author compared it to “a three minute punk song” and it did have that kind of feel about it. It made me think about why we expect books to be highly polished when we often accept music that hasn’t been quite so sanitised. 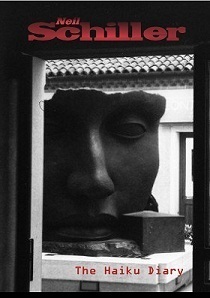 Yes, another indie/small press book: Loisaida -- A New York Story by Marion Stein. It is just incredible. It’s almost like a literary successor to Hubert Selby Jr. with a myriad of different voices – all down and outs of one type or another in 1980s New York – but with a central narrative about a murder and a riot. It really is an amazing book, if it had been written twenty years ago it would probably be spoken of as a cult classic. Why this hasn’t been picked up by a mainstream publishing house I will just never be able to work out. When I first saw an ereader several years ago I thought it was just a fad. But the first time I used a Kindle that a friend of mine had, I was a total convert. I think ebooks are probably the future of reading. On the one hand they’ve made it much easier to self-publish, which I’m obviously happy about. But, of course, the downside is that anyone can self-publish easily now. I don’t mean that in a superior way – who am I to say I’m better than the next writer? What does concern me a little bit, though, is when I think back to some of the absolute rubbish I wrote when I was 17 or 18. At the time I was probably arrogant enough to think it was worthy of publication. In fact, I know I was because I sent some of it to publishers who, quite rightly, rejected it. If the Amazon platform had existed back in 1992 I shudder to think that I might have been stupid enough to put some of this stuff out. I’m guessing there are plenty of 17 or 18 year olds out there now who are in the same place I was back then, and with a few mouse clicks they could be setting themselves up for a big fall when, in fact, if they gave themselves time to develop they may become the truly great authors of the future. How important are reviews for you as a writer? Honest critiques of my work are very important. I genuinely want to know what people think of the things I’ve written. I don’t have a problem with them not liking it if they would kindly tell me why. I want to improve as a writer and feedback is absolutely critical in order for me to do that. Obviously it’s a minefield trying to pick through the comments you think can help and those that actually you just don’t agree with, but it’s a minefield worth navigating through. Reviews, as in Amazon reviews, are useful to help draw readers in, and I’m obviously happy when I get a good one, but that’s not the reason I write. How do you go about choosing a cover for your books? I’m working on two things. One is a novel/novella called Hinterland which is very similar in style to the short stories in Oblivious, but with a more sustained narrative. I guess you could loosely categorise it as a sort of literary thriller (if such a thing exists). The other is a second collection of short stories, all about music in some form or another. That’s basically because the stories I stripped out of Oblivious are about music and I wanted to give them a home. The Kindle formats are available on Amazon, with an epub version of Oblivious available on Goodreads. (I struggled with Smashwords formatting so I took them down from there and still do need to sort that out at some point). Oblivious is also available in paperback from Amazon, Barnes & Noble and direct from Createspace. Apart from your blog where people can read more about your work? At the moment, that’s the main place to go. 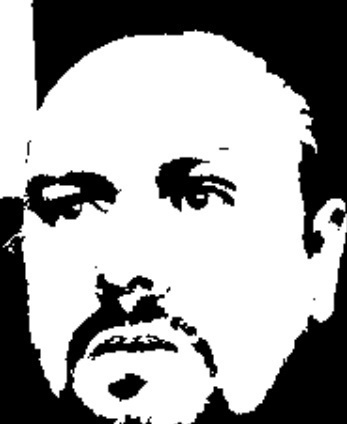 I am on some writing forums – Webook and YouWriteOn – so my new work is on there to try and gather feedback and comments as I go. Remember, Neil is giving away a copy of Oblivious. All you have to do to enter the giveaway is leave a comment on this post. A random winner will be chosen on 1st May 2011. This is an international competition. Good luck!! Good interview - both the questions (which are a lot better than the normal 'where do you get your ideas?' stuff) and Neil's answers. Very interesting. Great interview. Neil, I can relate to your remark about not articulating as well verbally as you do in writing. I envy those people who are able to do both. For some reason, my brain works far better when my fingers are holding a pen or resting on a keyboard. Oblivious has gotten my attention and is already on my to-read list! Awesome interview! Neil's books look VERY interesting, and the photos are outstanding. I look forward to reading his work. Thank for sharing! Thanks for stopping by, Sheri :) Good luck in the draw!! Thanks are definitely due to Maria for asking some great questions. Just hope I didn't ramble on too much for everyone. But thanks to you all for stopping by and for your time and patience. Marty, that's a touching story, thanks for sharing. Marty, I had a similar experience with my grandfather. He never, ever spoke about his experiences (he was stationed in Europe during the war as he failed the medical for African duty) and then, as he was dying, he just opened up one afternoon in the hospital and all this incredible stuff came out. It only lasted about twenty minutes as I was there on my own with him at that point, but as soon as my parents turned up he just stopped. It was probably the most moving thing that ever happened to me, excepting maybe the birth of my daughter (although that was over 10 years later), because it just felt like he'd chosen me to confide in with this stuff. We always were incredibly close but I wasn't prepared for that. I too have his war medals, framed now in my office. They always make me think back to that day. Some of what he told me made it into one of the stories, and some of it I decided was just for me. Marty, I'm not familiar with Carbon Leaf. I'll have to check them out. That's a great story, Neil. I like those lyrics, Marty; they really bring to life what you two have been discussing here. Thanks for the shout out Neil! Ah! The famous Marion Stein :) I've added your book to my to-read list. Maria wrote: "Ah! The famous Marion Stein :) I've added your book to my to-read list." Marion, no need to thank me, it was just coincidence I was reading Loisaida at the time of the interview (and no coincidence, I'm sure, that it was a great book). Maria, I'm certain you'll like it. It is a fantastic novel. Excellent interview! Very interesting questions... that's a skill many people don't properly appreciate. Kudos! Those lyrics are great... That last line is brilliant. Gordon wrote: "Excellent interview! Very interesting questions... that's a skill many people don't properly appreciate. Kudos! Thanks, Gordon! Good luck in the draw! The fact that 1984 made such an impression on Neil can only be a massive plus in my view. An obvious great starting point for the darker side of the imagination. Thanks for stopping by, Charles and Julie :) Good luck in the draw!! The draw is now closed. Thanks to everyone who entered! If you're a lucky winner, you'll be hearing from Neil shortly!